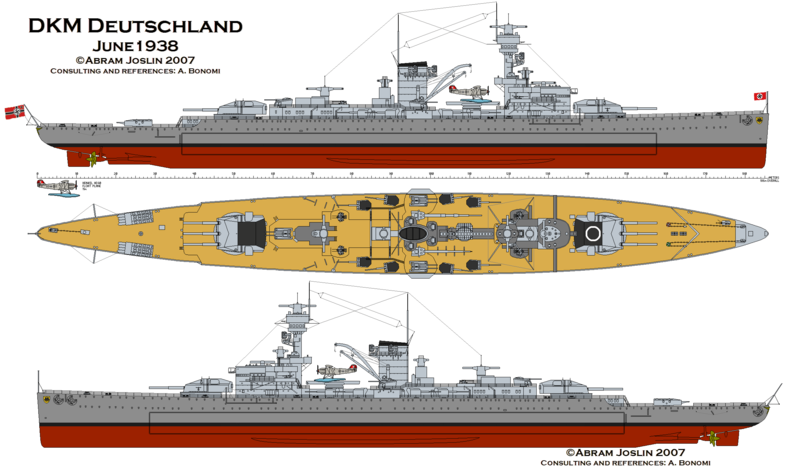 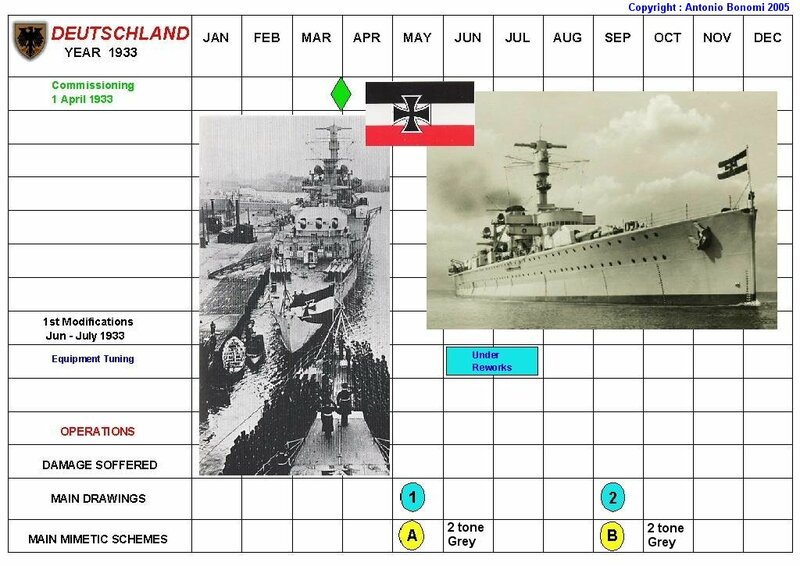 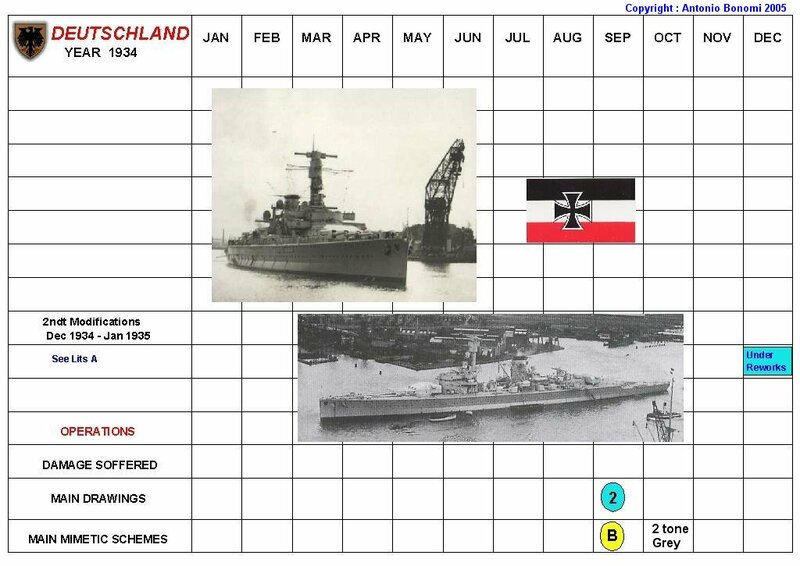 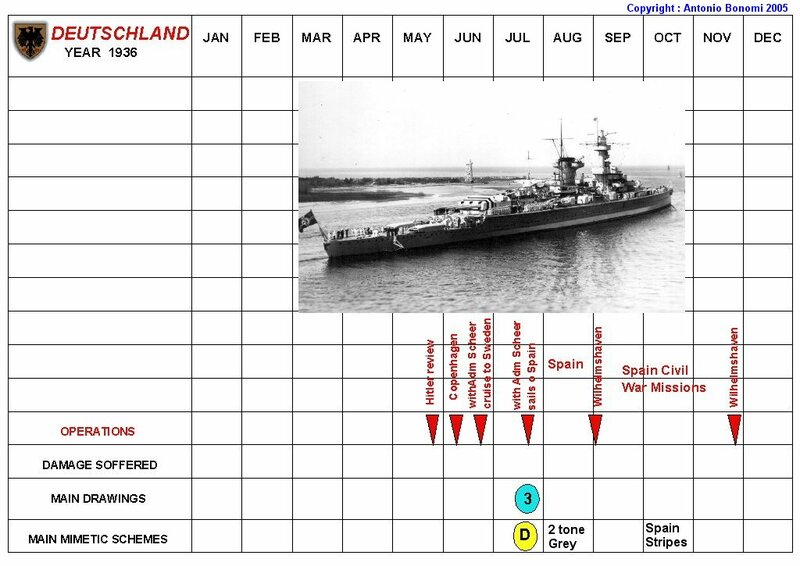 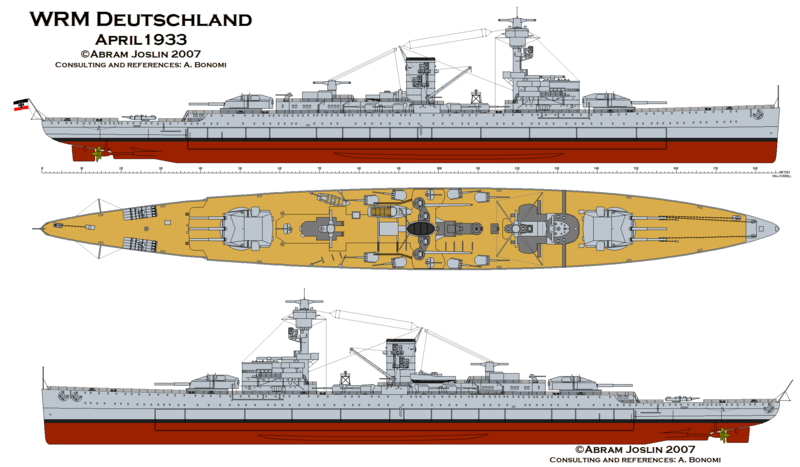 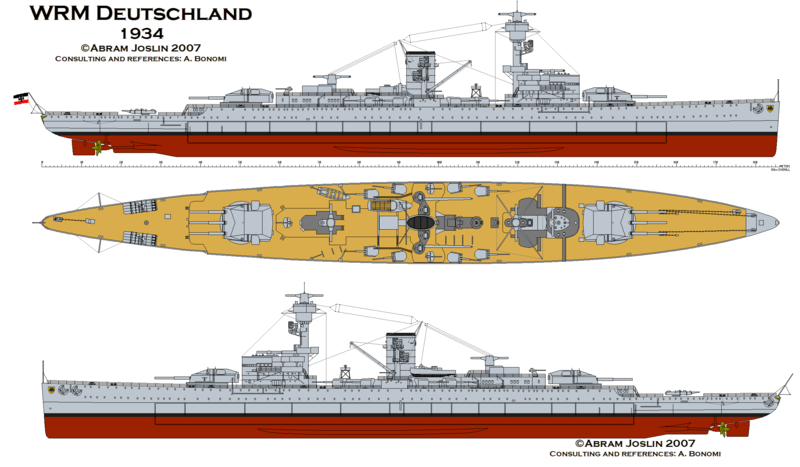 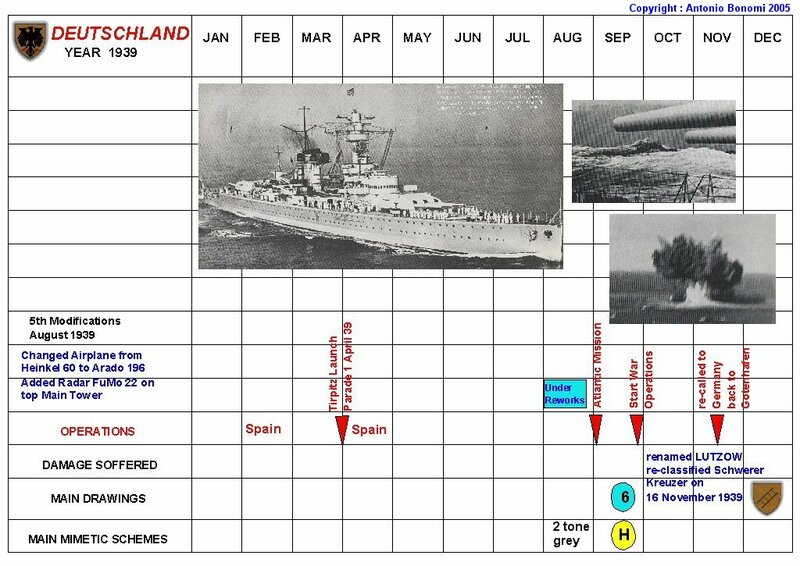 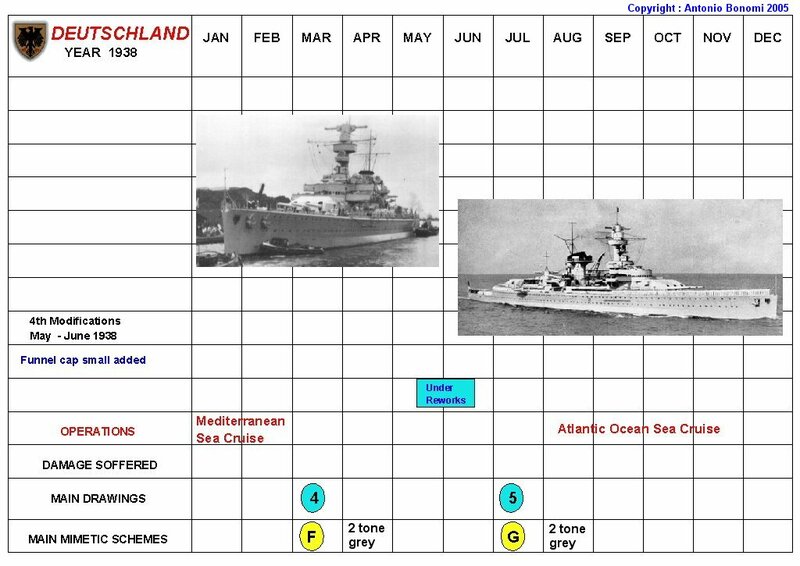 here the life evolution of the Panzerschiffe Deutschland in drawings, from 1933 till 1939. 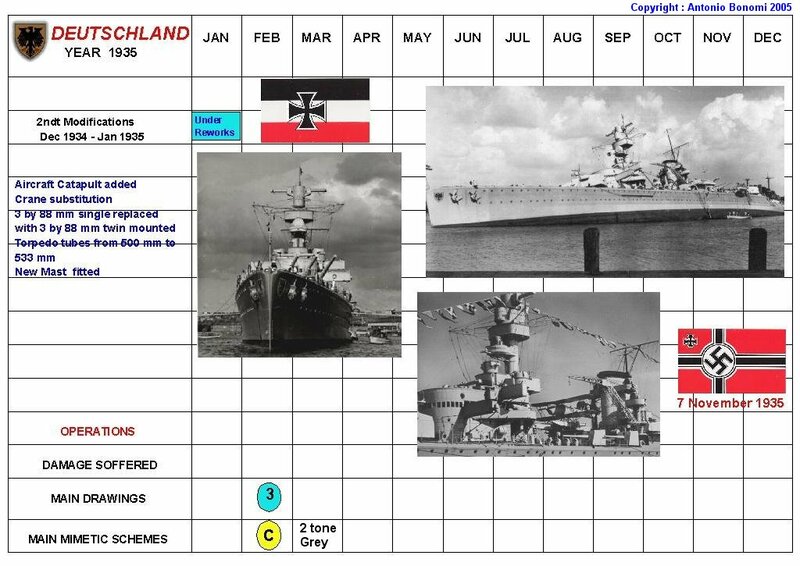 I am sure you will realize easily now just with a simple comparison all the changes on cranes, funnel platforms, camo schems and so on. 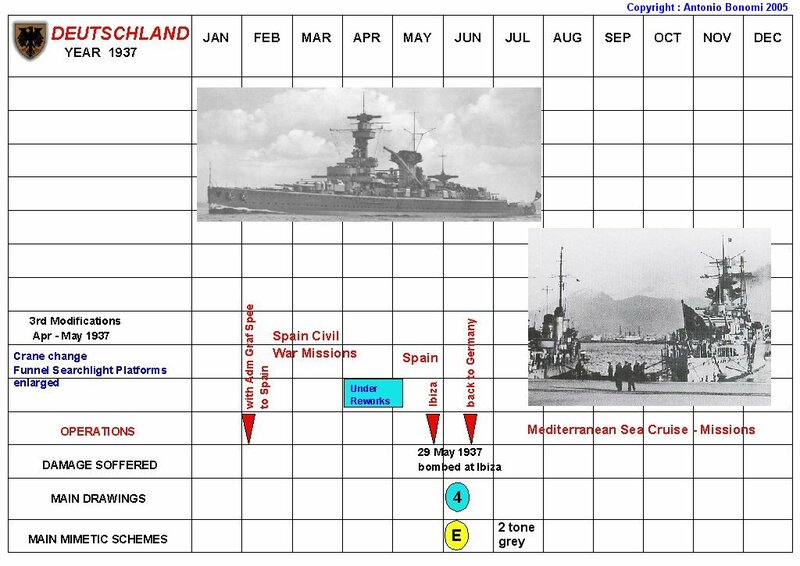 Another set of excellent posts, thanks Antonio.